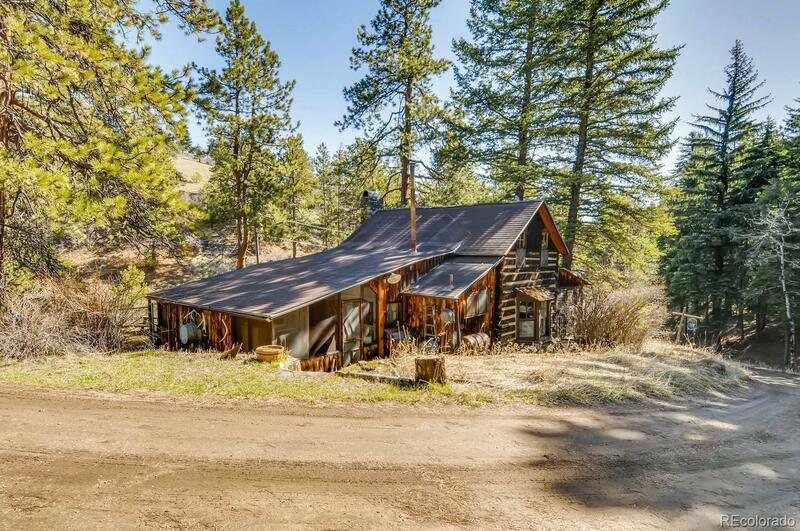 MLS#: 9471349 - Courtesy of Good Mountain Real Estate, Inc.
Amazing historic summer cabin with two additional cabins, loafing shed and tack shed! Plenty of room for additional building along with several building sites. 3 adjudicated wells and surface water rights. Take this unique property and make it your own retreat. Perfect investment for enjoying cabin now and build later. Summer cabin has full bathroom with hot water and septic system but if you want to rough it, there are two outhouses on the property. Step into this time capsule and prepare to slip back into a simpler lifestyle and listen to the little gulch trickle through the mountainside! When it's time to go into town you're just 30 min. to Denver and 15 min. to Evergreen. Immaculately maintained 1880's cabin. Other two cabins are in need of love but with TLC you will have an amazing retreat. Available for purchase to the public for 1st time since 1920's. Multiple parcels available see MLS 2592878, MLS 3963200, MLS 7390207 for more information; up to 164 acres available.